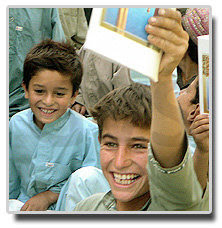 Green Village Schools is a Portland, Oregon based non-profit organization committed to increasing literacy in under served areas of Afghanistan. Our vision is to build and support schools in Helmand Province that offer boys and girls the basic education required for participation in local, national and global economies. Green Village Schools also seeks to improve the lives of these communities by providing health education, potable water, and a model for good sanitation at the schools. We believe that investing in the education and health of young people in Afghanistan is the best way, perhaps the only way, to promote peace and prosperity in the long run.